Frogtown Web Design created a new WordPress site for A Beacon of Hope based in Johns Creek, GA. 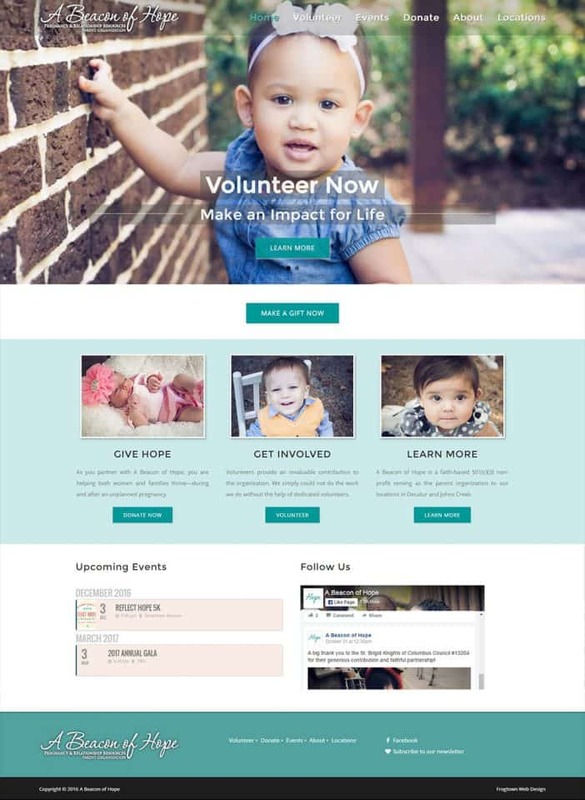 The responsive and mobile-ready WordPress website provides information on volunteer opportunities, way to donate, event calendar, contact information and more. Frogtown heavily customized the Avada theme to create this beautiful site.